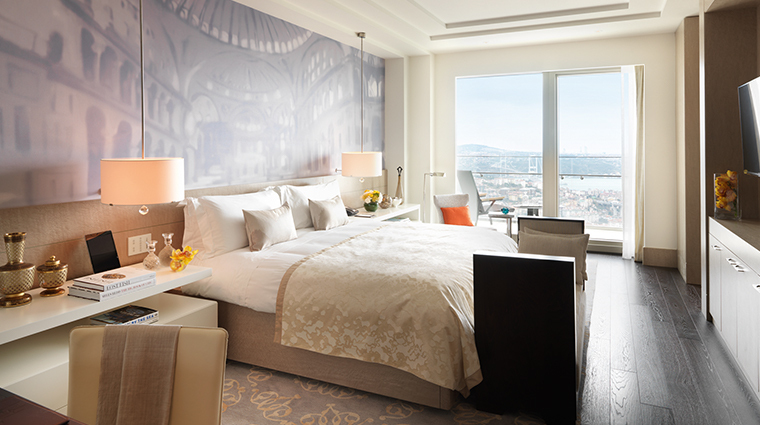 Set in one of the most desirable spots in the city, Raffles Istanbul captivates with stunning Bosphorus views from every angle and a modern interior design that is embellished with a gorgeous collection of specially commissioned artworks inspired by and reflecting Istanbul’s many faces. 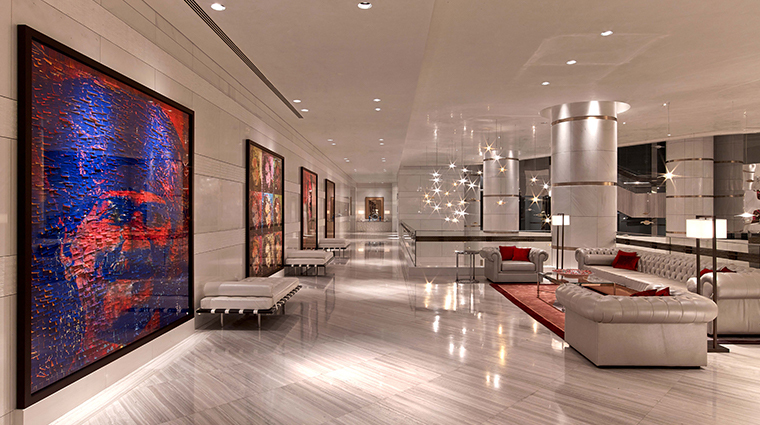 The light and airy interiors, designed by Hirsch Bedner Associates, create the feeling of a calm urban oasis, while the spacious public areas ooze luxury with lavish use of hand-blown chandeliers, immense sculptures, meticulously chosen objets trouvés and bold flower arrangements. 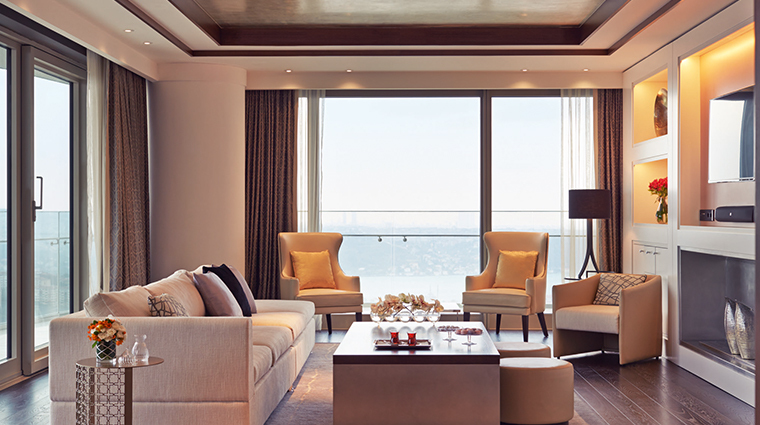 The hotel occupies one of the four towers of Zorlu Center, the hub of luxury shopping in Istanbul, and also home to several movie theaters and the country’s largest performing arts center, where Broadway shows, concerts and events are regularly staged. Or you can always just head to Raffles’ own rooftop movie theater to catch a film. 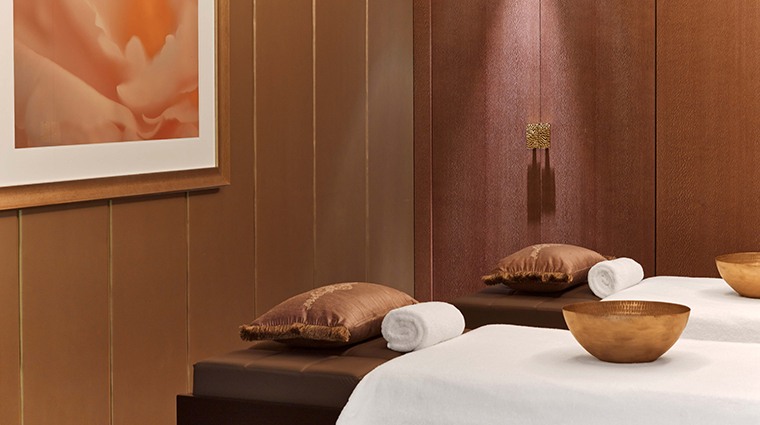 Don’t miss a chance to indulge in the swish spa. 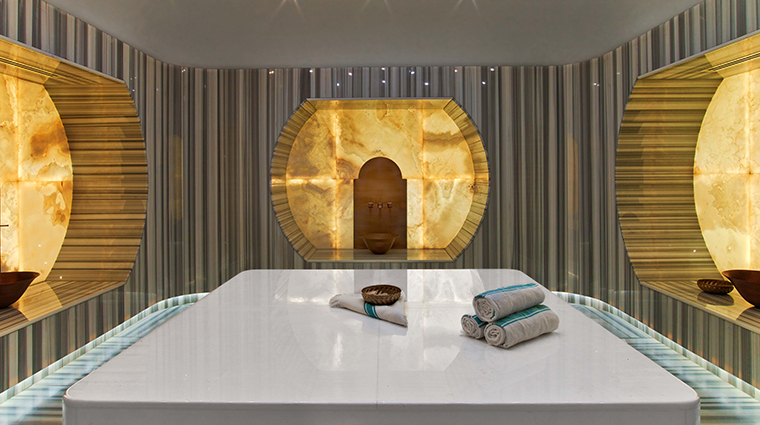 Facilities include indoor and outdoor pools, four saunas, four steam rooms, two Jacuzzis and three hammams, so come early before your hot stone massage. 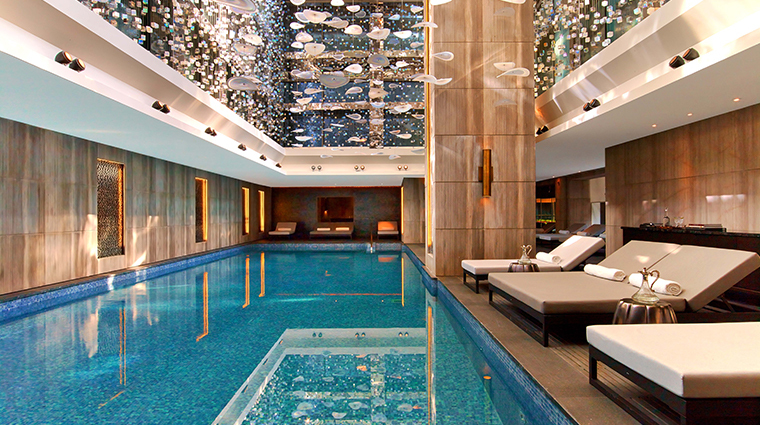 The hotel’s location within Zorlu Center can’t be beat. Just a step outside the luxurious property is where you’ll find a vast selection of high-end shops, including the first Apple store in Istanbul, the flagship Beymen store (Turkey’s prestigious fashion retailer) and about 40 cafés, restaurants and even an outpost of Italian marketplace concept Eataly. 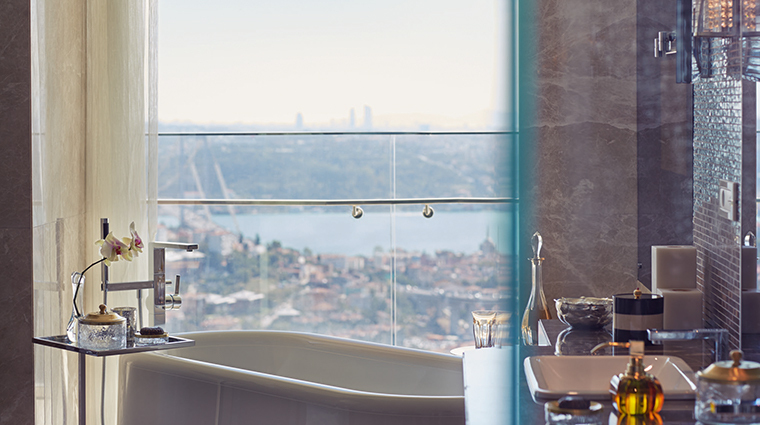 You’ll find kind and friendly staff throughout the Istanbul hotel, but having your own dedicated 24-hour butler takes service to a different level. 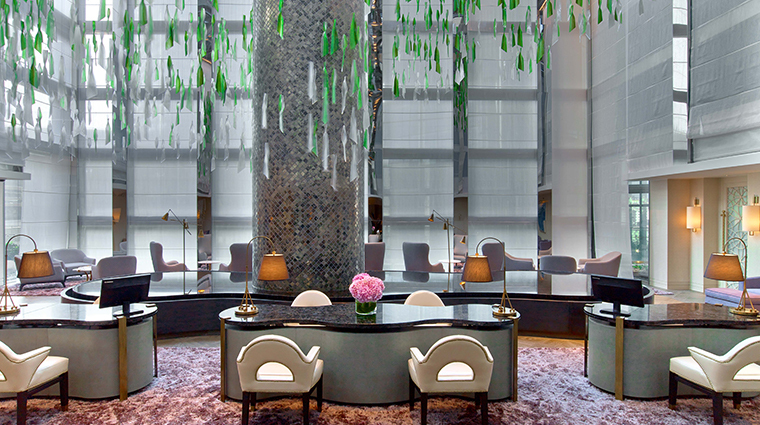 The property has several choices for dining and imbibing, but for an exceptionally sweet moment, head to the Lavinia lobby for high tea with live piano music or to the Raffles Patisserie, where exquisite cakes, treats and other confections are made on the premises by pastry chef Şule Gündoğan. 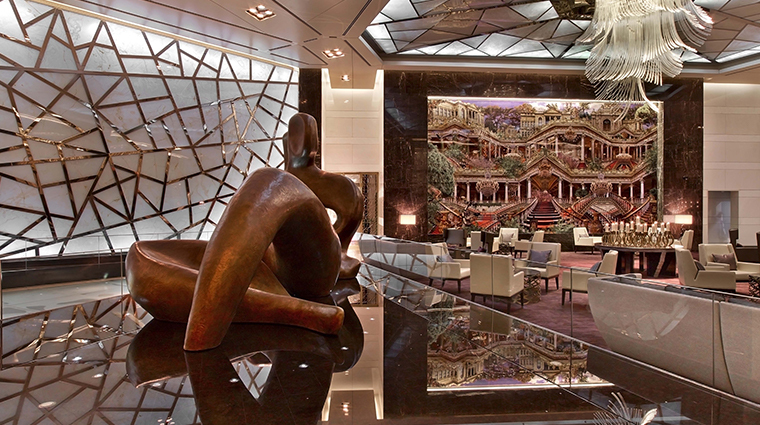 Take time to observe Raffles’ wonderful art — every single piece has a story to tell. 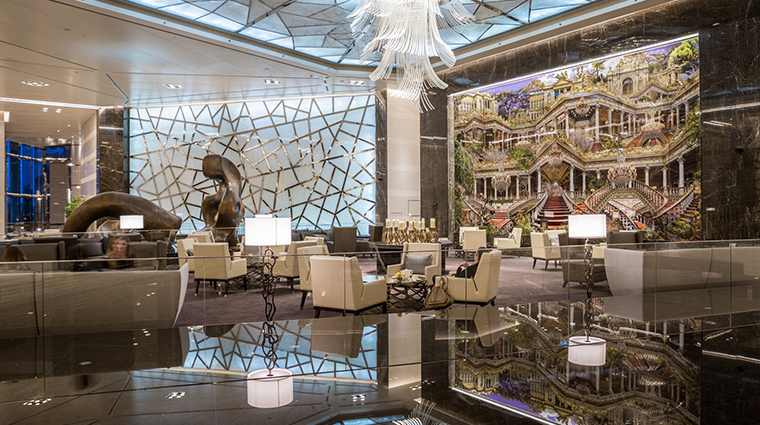 Commissioned by the hotel, the contemporary collection is made up of custom works by several international artists who were charged with the task of portraying the thrilling duality of Istanbul. 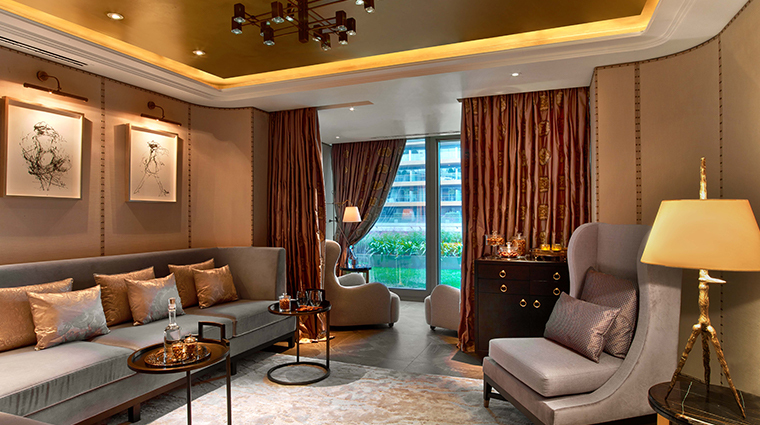 The luxury hotel is a meeting place attracting a diverse range of local and international visitors. 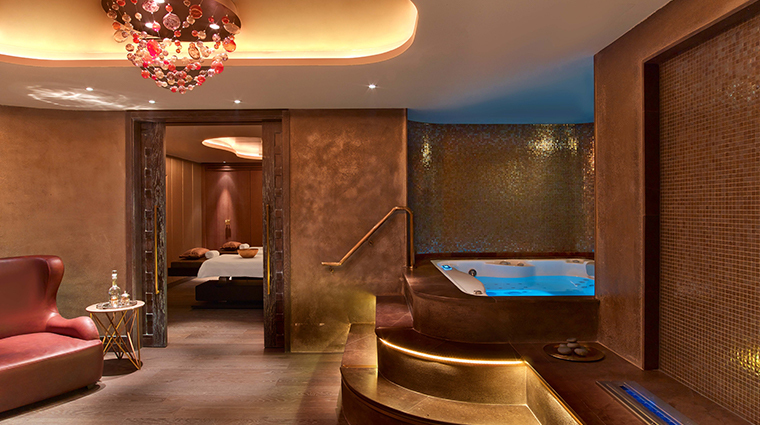 In one afternoon at Lavinia, you might see ladies resting after a shopping spree, businessmen discussing deals, elderly Istanbulites admiring the piano or a random celebrity mingling with hotel guests all in the oasis-like space Raffles provides. Watch out for performances and concerts at the nearby Zorlu Performing Arts Center. The venue might host one of the hottest shows of the year, or there might be free events at the open plaza — either way, the concierge can help you to find out. 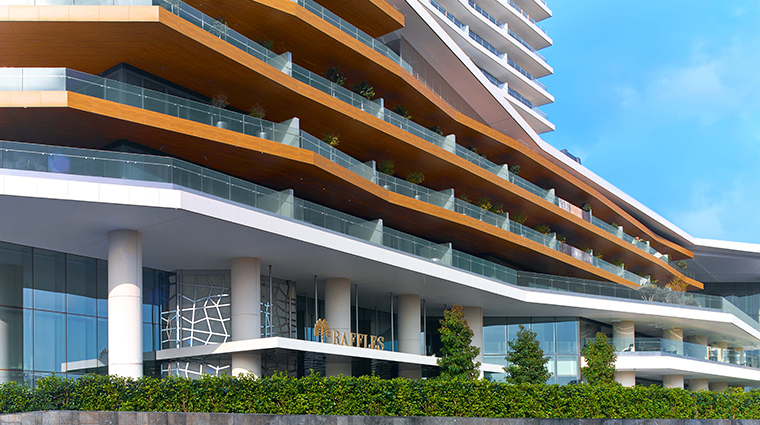 Situated practically at the junction of the highways leading to the Bosphorus Bridge and Istanbul Atatürk Airport, the hotel’s central location puts it within easy reach of the city’s main attractions. And the property’s heated helipad makes a private landing even easier. 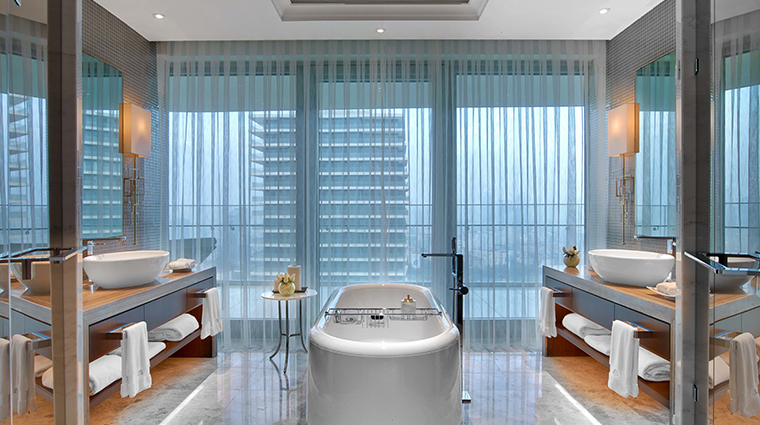 Offering a contemporary feel with local flair, the rooms and suites are dominantly decorated in soft, creamy browns with a distinctively Turkish turquoise touch. 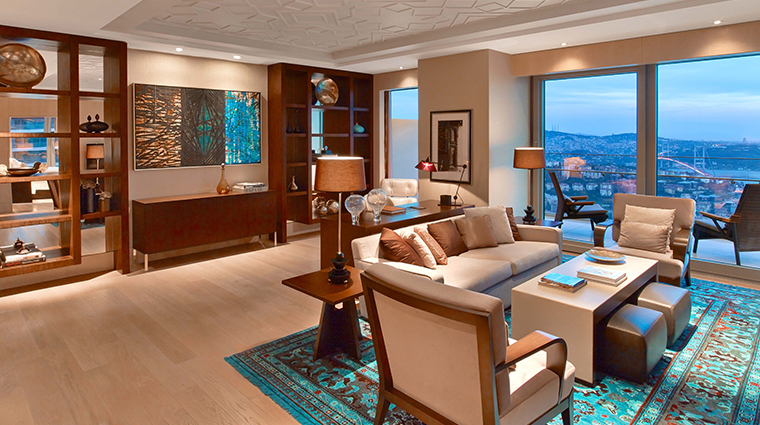 Details make all the difference in these luxurious rooms. The Turkish carpets are specially hand-woven for Raffles, and even the laundry bag has embroidered turquoise patterns inspired by the whirling dervishes. 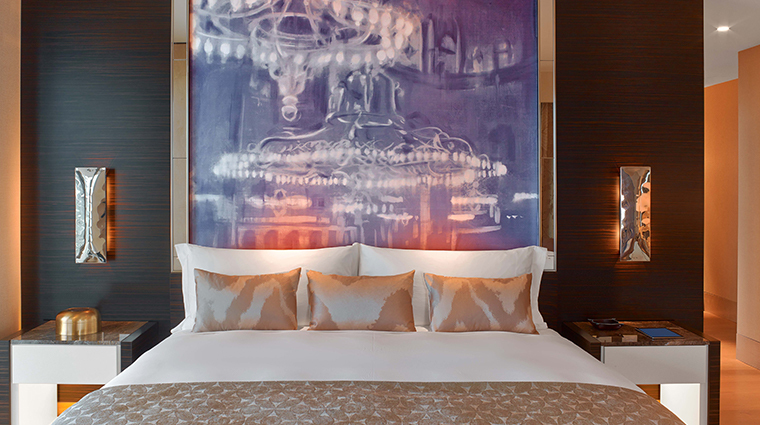 Custom murals behind the beds in every room depict a dreamy blurred image of chandeliers from iconic landmarks like the Hagia Sophia and the Blue Mosque, a reflection of the city’s glorious past. All rooms feature floor-to-ceiling windows and balconies offering priceless panoramic views of the historic city and waterway. 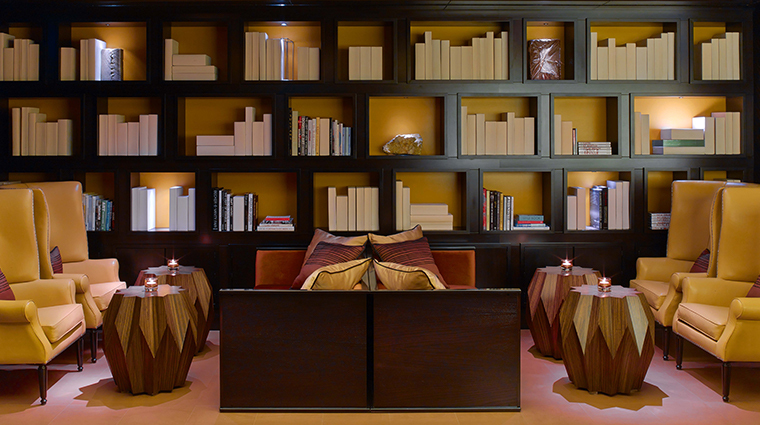 A tablet lets you do everything from adjust the lighting to order room service. 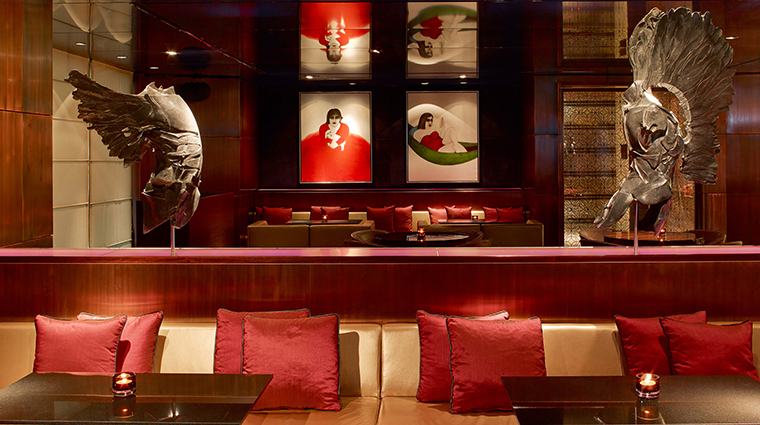 The recently launched Isokyo is already a hot spot for Istanbulites. The restaurant features pan-Asian cuisine inspired by Eastern traditions that span from Istanbul to Tokyo, hence the name Isokyo. 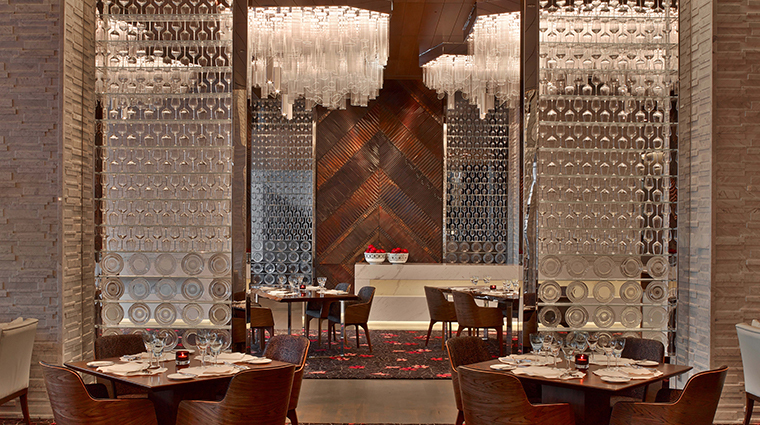 Raffles’ extravagant Sunday brunch at Rocca Brasserie is not to be missed. Featuring a wide selection of fresh seafood, the sumptuous spread includes an array of international delights (barbecue, sushi, flatbread) best enjoyed with a glass of champagne and a live performance by Flapper Swing. 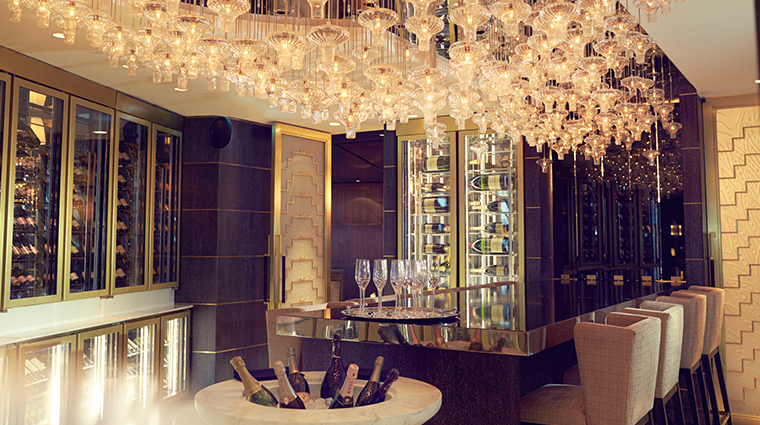 No Raffles experience is complete without a drink at the Long Bar, a tribute to the legendary bar of the first Raffles hotel in Singapore. Here the signature cocktail is the Bosphorus Sling, a local twist on the timeless Singapore Sling. It maintains the gin and cherry base of the original while adding fresh pomegranate juice and housemade hibiscus grenadine.